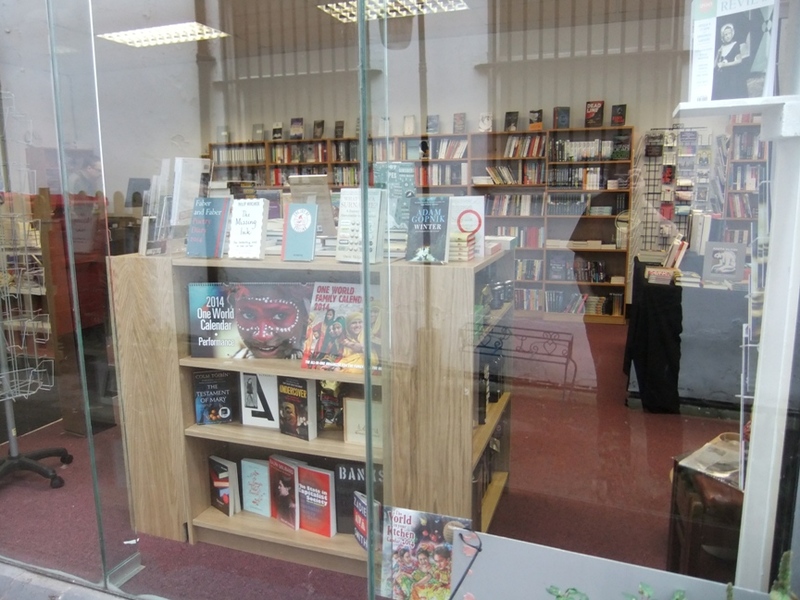 As of 9 November there will be a new independent bookshop in the centre of Nottingham. Ross Bradshaw of Five Leaves Publications is opening the Five Leaves Bookshop. You’re a publisher, so why have you decided to open a bookshop? I worked in bookselling for quite a long time, before I worked in publishing. I worked in a bookshop for 17 years, and have had a close association with another bookshop since then. I’ve also been on the board of a third bookshop. So I do have some idea of what it takes to run a bookshop. When I left bookselling in 1995, the bookshop I then worked in had started doing some publishing (or rather I had when I was there). So I took the publishing with me, thinking that would keep a toehold in the book trade until eventually I went back to bookselling. The publishing side grew much further and faster than I had expected, and I’ve published about 200 books since then. So returning to bookselling is simply something that I’ve always wanted to do, it’s just been a bit delayed, rather than going back in the two to three years. I had to decide whether to take it. It was now or never. I’ve never fully settled within publishing, because bookselling has always been my first love, which is why I’m looking forward to getting back behind the counter. Why do this now a recession? There are some good sides to the recession. It is terrible for those who have lost their jobs or businesses. But this means that rents are now lower, and that the publishing industry is in something of a crisis (although it’s always been in a crisis since Gutenberg came along). This means that independent bookshops are being much more supported by the publishing industry than they have been for a while. I think the publishing industry has realised that unless they started to give substantial discounts to independent bookshops as well as to the one remaining chain, the independent bookshops would go out of business. So compared to when I last worked in bookselling, the discounts are much higher. This means that economically it’s not such a bad time for someone wanting to start bookselling. There is also a general reaction against Amazon because of their tax situation, their employment situation and anti-union position. Also the property I wanted for my bookshop became available and I had to decide whether it was now or never. I’d tried on two previous occasions to open a bookshop, once the landlord withdrew the property from letting, and the other time I had to withdraw for personal reasons, because of a family illness. So this is my third attempt to return to bookselling. It was a win, in a sense that the property became available, and I had to make an immediate decision, yes or no. I chose yes, wanting to open up before Christmas. There is another important factor involved with regards to independent booksellers, in that small publishers have difficulty in finding an outlet in large chain booksellers. Do you think this is why the independent stores are so useful to small publishers? Certainly it’s true that small independents are struggling with the central buying system of the large chain booksellers. But it’s not just small publishers that are struggling because of that. If you’re central buying, then the buyers at these large booksellers can make or break a book. That’s just as true for a book published by Bloomsbury and a book published by a very small publisher like Five Leaves (but of course small publishers have less clout in the industry). Certainly there have been quite a few publishers (Eland and Serif come to mind), which have always concentrated on building relations with independent bookshops, giving them extra discount and display material, as well as mentioning them on their websites. Certainly this has stood Serif and Eland in good stead, and is why I’ve immediately placed orders with these publishers. It’s quite nice to be able to look at the publishing and bookselling world from both sides of the counter, and hopefully I’ve learnt something from seeing the industry in this way. What sort of books are you going to stock? 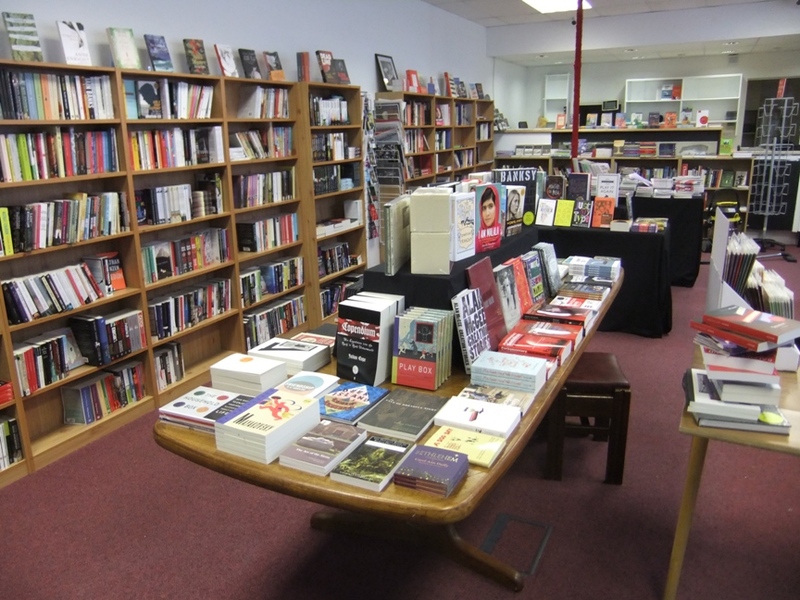 We’re going to focus more on independent publishers than the mainstream bookshops would, but that doesn’t mean we wouldn’t stock books by mainstream publishers. We certainly won’t stock books that are written by celebrities, or books by or about the Royal family, but we will stock Booker prize list books and a good range of social history, lesbian and gay books, and politics with an orientation towards the left. I have been persuaded this morning to stock children’s books, even if it’s just a token presence for children. The problem is that we have limited space, so we can’t afford a huge children’s section. However, while showing the premises to another publisher this morning, he persuaded me to stock some children’s books, although that’s not where my heart is. We will stock international writing and I’m already building a relationship with some of the bigger independent publishers through the Independent Alliance and the Faber factory group of publishers, and those that are distributed by Central Books (an independent distributor of books). We will also be sourcing most of our books inevitably from small independent publishers and picking out those that usually get less attention from the chain booksellers. What you think is the appeal of a physical book? Some people do like the physical condition of books. As a publisher, I’ve published 30 e-books of the physical imprint, but I’ve never read a single book on a piece of plastic. I just don’t like the feel of it. Some people do like reading that way. 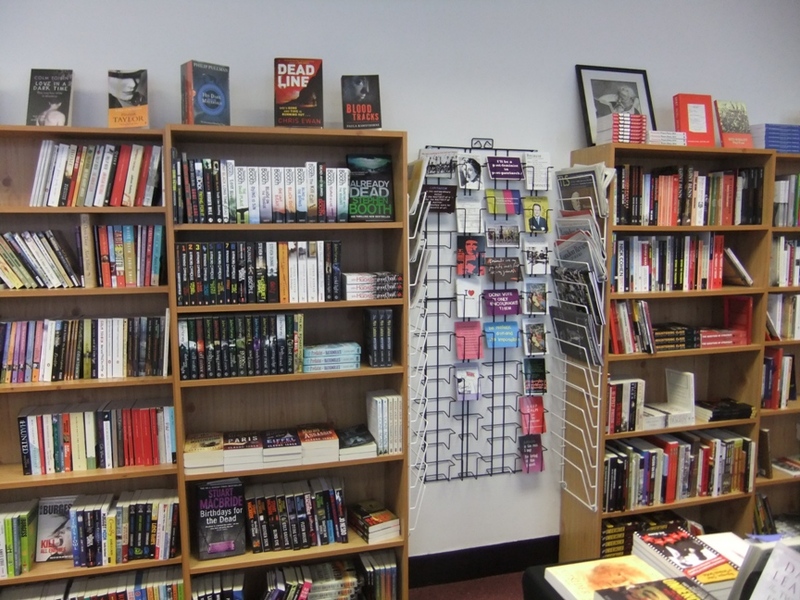 However, if you prefer to browse around bookshop rather than browsing round a computer screen, you come to the Five Leaves Bookshop. I also think it’s impossible for the likes of Amazon to have a working relationship with writers, and a giving and taking relationship with publishers. This is what I hope the bookshop will do. We’ll be having lots of events. It’s very difficult to have an event on Amazon, but you can come to an event down at your local bookshop. This means you can come and have a discussion with your favourite writer, or any writer, and engage them in conversation. You can’t do that on a computer screen. So what do independent bookstores offer that’s different from every other bookselling outlet? I remember in my old bookselling days that we were doing events when nobody else was. It just seemed a natural thing to do. For example, if it was the bicentennial of the invasion of Australia, then we would have an aboriginal speaker who had written the history of aboriginal people in Australia. Recently, Seamus Heaney has died, so one of Five Leaves Bookshop’s first events will be a commemoration of Seamus Heaney. But I don’t like the idea of running events just because someone’s been on the TV. I would much rather put on an event where somebody has something to say and if necessary that doesn’t even mean that an author has to be there to say something about it, because Seamus Heaney couldn’t now be there at an event. I would also suspect that everyone who is at the event commemorating him has probably bought all his books. It just seems a very good way of running a bookshop, because it’s not simply just somewhere when you come in as a passive participant and buy a book off the shelf. That’s always how I’ve seen bookselling, and gradually over the years bookselling is taking that view as well. The primary relationship between the bookseller and the customer is a very deep relationship as well as the relationship between the bookseller and the author. That’s how I see the future of the Five Leaves Bookshop. Although you will be running the bookshop as a commercial venture, there is obviously more to it than that for you. Yes it certainly has to be commercial, because if it makes a loss it’s my loss financially. It has to make a profit because I have to pay wages for the staff who will be working there. But I’ve always found there is something intrinsically attractive about bookselling, although I’ve never been able to work out exactly what it is. I remember a bookseller saying to me that there wasn’t a single job that they liked doing in the bookshop, but altogether they loved being a bookseller. It is hard to imagine saying something like ‘Oh I really enjoy inputting data’ or ‘I really do like unpacking these really enormous, heavy boxes and wondering what to do with all the packaging material afterwards’ or ‘I really do like cleaning the yard outside the shop.’ Or maybe you don’t like all of those, but somehow along the way you do like being a bookseller and all of those tasks are just part of it. There is, however, the other side of it where somebody comes up to you and says ‘I read that book that you pointed out to me last week in the bookshop and I really liked it’ or alternatively ‘I didn’t like it.’ Then you begin to have a discussion about the book. That’s what I really enjoy. I love talking about books. Thank you very much for including this interview. The photos were taken three days before opening, so there is still the odd gap visible, and the signage has yet to go up… just in case an eagle-eyed reader wonders why we have empty card racks! Speaking as someone who has worked as a bookseller for more than 25 years, this fills me with inspiration! Good luck to you, Ross, and to all the booksellers at Five Leaves. I shall look forward to visiting your shop very soon. How do I get on your mailing list? Hi Chrisina. Thanks for this. Email us at bookshop@fiveleaves.co.uk. 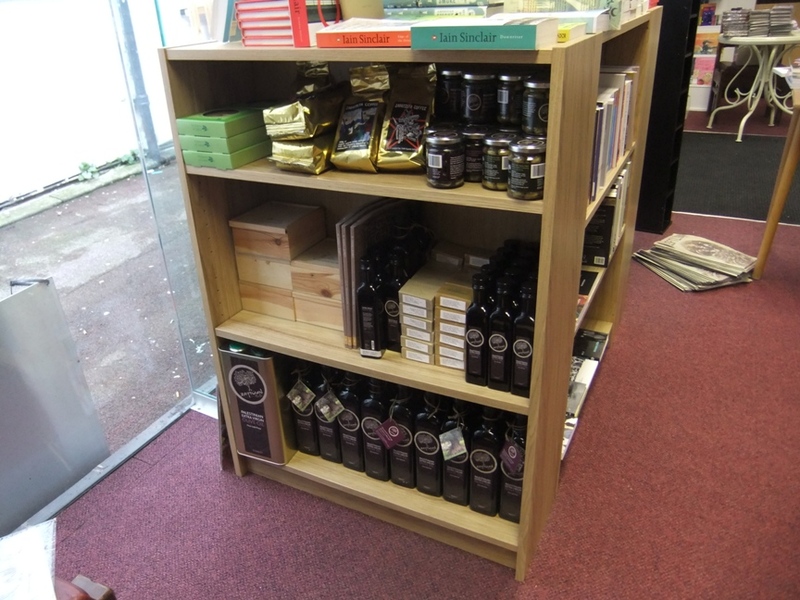 You can also find us on Facebook, as Five Leaves Bookshop. I am so glad Ross has taken on this venture – Nottingham is becoming a hotbed of creativity and deserves an independent bookshop. It heartens me to know Nottingham will now be on par with other cultural cities such as Bath and Brighton, both of which have thriving independent stores. I wish Ross every success and look forward to becoming a patron of Five Leaves. Fantastic, Ross, this is marvellous and especially knowing you will be stocking Indie books too. As an Indie author myself, this is very encouraging and inspiring. I live in the Netherlands, so unfortunately cannot come and visit, but I wish you all the very very best .